Pacific Standard Time (PST), a six-month initiative showcasing L.A’s post-war art scene, opened last October. It’s hard to believe that nearly four months have passed since then, and two of the exhibitions I recommend for families will be closing soon: the Huntington’s The House that Sam Built: Sam Maloof and Art in the Pomona Valley, 1945-1985 (closes 1/30) and the Getty’s Pacific Standard Time: Crosscurrents in L.A. Painting and Sculpture 1950-1970 (closes 2/5). Since the Huntington’s PST is closing this week, I’m devoting this post to why I think you should take your kids to see The House that Sam Built. In my next post, I’ll tell you why the Getty’s Crosscurrents exhibition is great for kids too. 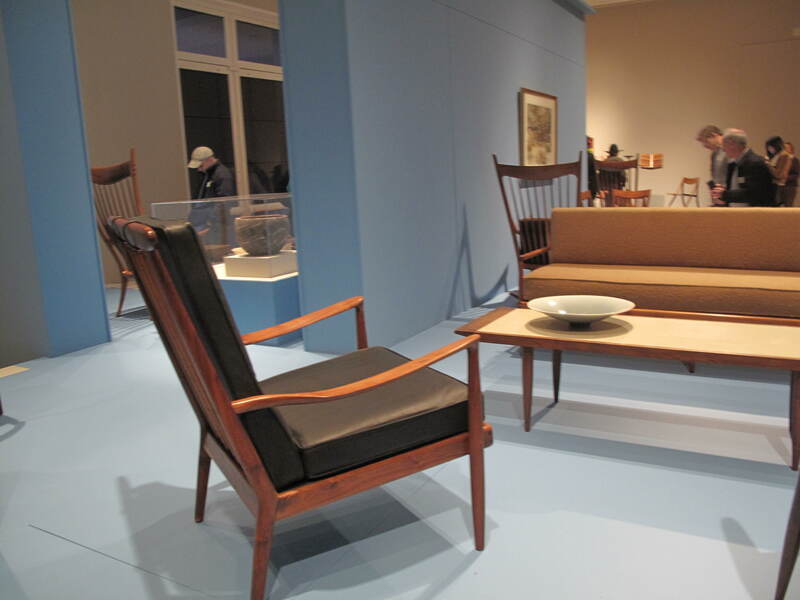 About the Exhibition: In the Huntington’s The House that Sam Built, families can see Sam Maloof’s incredible handcrafted mid-century furniture, as well as art objects made by his friends and colleagues. 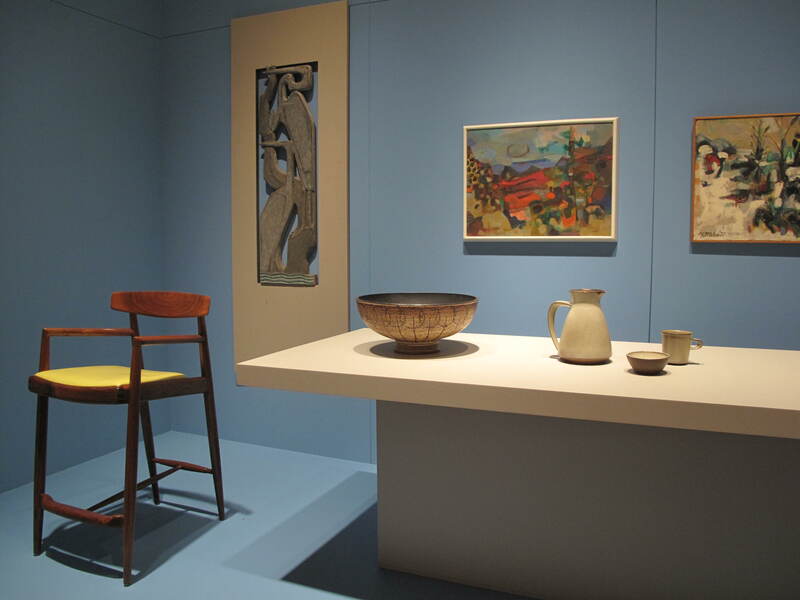 Mid-century tables, chairs, ceramic bowls, and paintings are displayed in small vignettes resembling intimate corners of a home. Kids easily relate to these everyday household objects. At the same time, my boys could see that Maloof’s fine craftsmanship and keen sense of design makes his furniture pieces very different from the ones they have at home. The wow factor for this exhibition is in the details. Ask your kids to look closely at a Maloof chair. They’ll discover how Maloof, a self-taught woodworker, created his intricate design features by using different wood colors, and wood grains. 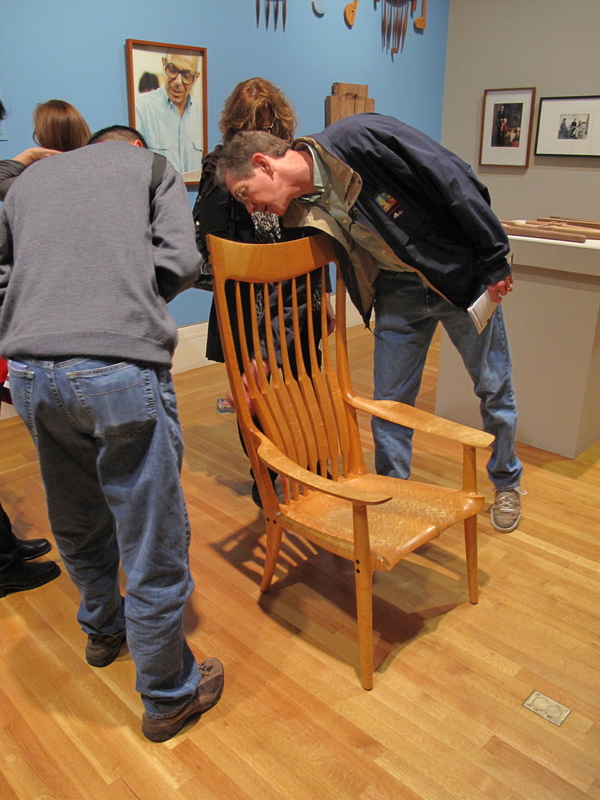 Then ask them to find where Maloof joined together the arms and legs of the chair. Maloof’s nearly seamless joinery is truly amazing. In the exhibition’s educational room, children can learn more about Maloof and his craft. Kids can see photographs of Maloof, his workshop, home, and celebrities who admired and collected his furniture. 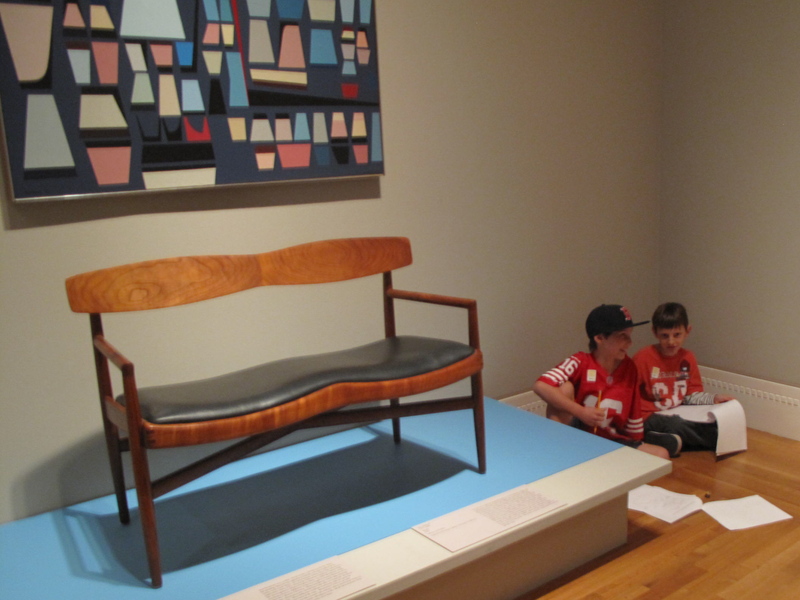 There’s also a Maloof chair that kids can touch and actually sit in. This was a real hit with my kids, and adult visitors too. My Collection – A PST Kids Gallery Activity: I created this gallery activity for my children to introduce them to the concept of collecting – an integral part of the museum world. Just like Henry Huntington and other wealthy founders of Los Angeles museums, kids enjoy collecting their favorite things. So why not let them pretend to collect PST art objects? Just print out the activity sheets, and bring pencils and a clipboard or pad to write on, and you’re ready to go. When you arrive, have your children make a list or draw pictures of the objects they want to collect. Then ask them to draw where they would display their objects in their own house. After your visit, use the discussion questions to learn more about the collections your kids created.